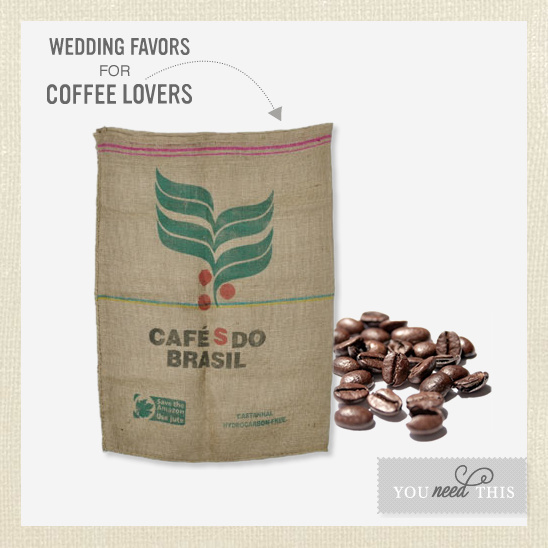 For the couple that loves coffee, these authentic burlap coffee bags would make perfect coffee wedding favors. You can buy coffee in bulk and share it with your family friends. Place them in these burlap bags that have been used to store and transport real coffee beans. Bags are printed in several styles, with different prints arriving all the time. Please note that styles are not selectable and may vary from the image shown. You can also purchase these wedding favor bags in bulk for $1.85 each and if you buy 50 or more they are about $1.11 each.